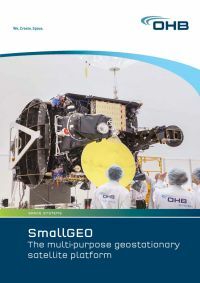 The first SmallGEO mission based on the new satellite platform will be launched with a payload for the Spanish satellite operator HISPASAT as "H36W-1". H36W-1 will be placed in a geostationary orbit at an altitude of 36,000 kilometers, where it will supply Spain, Portugal, the Canary Islands and South America with multimedia services. The operator will be integrating H36W-1 in its existing fleet of geostationary communications satellites. The contract between OHB System and HISPASAT for Phase C/D/E was signed in spring 2009 and assigns to OHB System the status of prime contractor for the entire satellite. The payload is being supplied by Tesat-Spacecom. H36W-1 is scheduled for a 2017 launch.